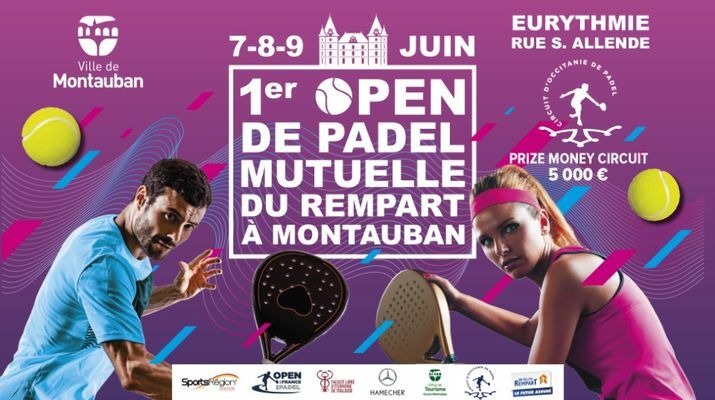 It is therefore in Montauban that the kick-off of the circuit will be given on June 7,8 and 9, 2019 to Eurythmie. With the very important contribution of the municipality and the commitment of the Mayor Brigitte Barèges who knew the Open de France of Toulouse. All the services, techniques, events, communication and of course sports are mobilized for this great party that awaits us, forecourt Eurythmy. Different sports associations from Montalban will be associated with this event and will present their disciplines, so visitors can learn or show their expertise. As part of the partnership with the tourist office, the municipality and the sports department, it is scheduled on Friday time slots for exhibitions but also and especially trials for any Montalban who wants to enter the cage! All this will be orchestrated by Cédric Carité Tennis Padel Academy, former European padel champion but especially "LE" instructor in the discipline, recognized in France and author of books on pedagogy Padel. In sports, the table will propose 8 mixed teams of the best French level and the presence of some foreign or foreign.